Apple is doing more than any other electronics manufacturer to address the negative effect it has on the environment, according to Greenpeace, but the industry as a whole still faces major challenges to ensure a “toxic-free future”. With sales of electronics gadgets set to reach 2.5 billion this year the charity’s Green Gadgets report underlines the need for global companies like Apple, Samsung and Dell to act with urgency to meet the “growing environmental crisis”. Greenpeace says that the electronics industry still needs to embrace renewable energy and eliminate hazardous chemicals from its manufacturing processes. Last month Apple bowed to pressure and banned two dangerous chemicals that were exposing hundreds of thousands of staff in China to a greater risk of cancer, nerve damage and paralysis from its final assembly plants. The toxins, still widely used by other manufacturers, include n-hexane, which is usually used to clean smudges from screens prior to packing them in boxes, and benzene, which is used to coat certain electronic components. Some companies are moving slowly despite increasing pressure to adopt more “green” manufacturing processes, but Greenpeace International campaigner Tom Dowdall said that Apple had made greater steps than its competitors. “Apple has shown us a glimpse of what is possible, leading the industry on the elimination of the worst chemicals and starting to address the huge environmental impact of electronics manufacturing,” he said. More than half of the mobile phone market – represented by Samsung, Apple and Nokia – is now free from the worst hazardous substances: Polyvinylchloride (PVC) and Brominated flame retardants. However, Apple remains the only company to have eliminated the use of these substances in all its products. Greenpeace said that Samsung, the world’s biggest electronics company, has failed to meet its elimination goals for products beyond mobiles, joining Dell in backtracking on previous public phase out commitments. Samsung did not respond to a request for comment. Overall, electronics companies are failing to address their growing carbon footprint, said Greenpeace. The manufacturing of phones, laptops and other devices requires a huge amount of energy and is concentrated in East Asia where coal dominates energy production. Some companies, like Lenovo and Huawei, have taken first steps with small solar installations on Chinese factories, while Apple is planning the first 100 per cent renewable energy factory to make iPhone screens. “As a hotbed of innovation, the electronics industry is perfectly placed to reimagine how our phones, laptops and TVs are made and sold. Companies should be designing for the future, not the dump. Toxic-free, durable electronics made with renewable energy shouldn’t be a dream but a reality,” said Dowdall. Two London men have been arrested over their alleged involvement in flooding the world’s pharmaceuticals market with potentially life-threatening fake medicines. The pair remain in custody at a north London police station while searches and inquiries continue. Detective chief superintendent Tom Manson, of the MPS Specialist, Organised and Economic Crime Command, said: “Today’s operation with our counterparts in Austria and Europol has been about taking down a highly organised crime group who make an incredible amount of money by selling potentially harmful drugs to unsuspecting members of the public, some of whom are in the UK. In total, yesterday’s pan-European operation resulted in the seizure of several million pills with an estimated value well in excess of £7.9m, huge stacks of cash and luxury cars, as well as the freezing of more than £6m in bank accounts and assets. According to the food company, Hormel, it takes one pound of bacon grease to produce one gallon of fuel (4.5 litres), which can cover between 75 and 100 miles on a motorbike. The Minnesota-based business has recently collaborated with a biodiesel firm to build the world’s first motorbike fuelled by pig grease, Driven by Bacon. Its creators say that it’s environmentally conscious and has the added bonus of emitting bacon-scented fumes. Using animal grease and fat as fuel isn’t anything new, but Driven by Bacon – conceived as part of an advertising campaign – is just one quirky example of how designers and entrepreneurs are finding new ways to meet future energy demands with technology that is disruptive, modular and eco-friendly. Like animal fat and grease, food waste can also be turned into fuel. 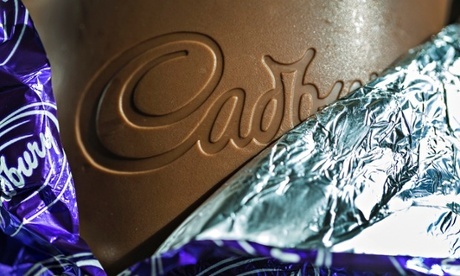 A few years ago, researchers at the University of Warwick launched a Formula 3 car that ran on chocolate. Scientists have previously produced hydrogen by feeding sugar-munching bacteria nougat and caramel waste provided by a Cadbury’s factory. Fed into a fuel cell, the hydrogen reacted with oxygen and generated clean electricity, which was used to power a fan. Lynne Macaskie, a bioscientist from the University of Birmingham, led the research and observed that the technology could be scaled up for industrial electricity and waste treatment purposes. This would save manufacturers costs by reducing the amount of waste that needs processing. The vision of using bodily fluids to power our future is not new, but it is curious. Some have used glucose and oxygen found in bodily fluids to power implanted biofuel cells, while others have used the salts in urine to power batteries. Researchers at the University of California, San Diego have developed temporary tattoos that can power electronic devices by generating and storing energy from sweat. The tattoo contains small sensors (biobatteries) that strip electrons from lactate – which is naturally present in sweat – and generates an electric current (around 4 watts, but there are plans to improve it). The challenge is keeping the biobattery charged. Also research showed that a fit person would have to have to exercise harder to keep the battery charged as it takes them longer to work up a sweat. The hope is that wearable technology could have a significant impact on biomedical and military research that involves intense exercise regimes. Aside from using people power as a renewable energy source, biobatteries are more efficient than conventional batteries: they don’t explode or leak chemicals. And temporary tattoos can be easily recharged or disposed of. The human body contains a copious amount of energy, and harvesting it can be used to charge smartphone batteries and power lightbulbs. The process of converting movement into energy, known as piezoelectricity, is being picked up by companies such as Pavegen. 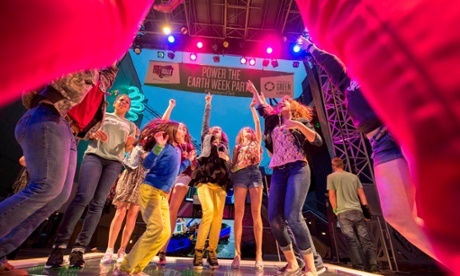 In Rotterdam, Energy Floors launched the world’s first energy-generating dance floor. The kinetic energy of dancing or walking is converted into electricity that powers the floor’s LED bulbs. 3D printing may be all the rage in the food industry, but it could also be used to produce modular renewable energy technology that can be put together like Lego bricks. The Poland-based printer manufacturer, Omni3D, has developed a 3D printed wind turbine that is foldable and can fit in a rucksack. It can generate 300 watts of clean energy – enough to charge mobile phones and lightbulbs and power small appliances. It has a modular design meaning it can be assembled anywhere without tools or a manual. 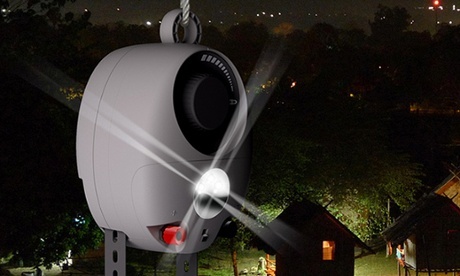 “The turbine can be easily disassembled so you may take it with you wherever you want. You might take it camping and you don’t need gas-powered generators,” says Konrad Sierzputowski, one of Omni3D’s co-founders. Sierzputowski and his team also say that such technology could have a big influence on off-grid communities in developing countries. They are currently raising funding through KickStarter in the hope of making the product scalable. In developing countries, kerosene lamps are a hazard and fuels are not always affordable, but battery-less lights can prove to be more efficient than solar. The GravityLight device is powered by gravity and a weight, like a bag of sand. The weight is hung from a chord below the light, and as the weight descends a mechanism inside the device translates the weight into energy. Unlike other battery-free lights, such as wind-up ones, the GravityLight requires less effort, because if the light goes out it can be turned on by hanging the bag again – three seconds of lifting a 9kg bag provides 25 minutes of light. The designers behind the product say that it’s a game-changer for off-grid communities. The device could also provide emergency lighting during disaster relief operations. It’s expected to be available commercially in 2015. “UK businesses using wood packaging materials for shipping goods could be putting the health and safety of staff at serious risk and causing untold damage to the UK economy”, says Jim Hardisty, Managing Director of Goplasticpallets.com. GMB, the union for staff at Amazon, is convinced that the illness is linked to insects carried in the packaging and has called for the company to conduct a thorough, independent risk assessment of the dangers of insect contamination in wood and other packaging of goods imported from abroad. Jim continues: “Although all wood packaging used for transporting goods into the EU or out of Portugal (a known pinewood nematode area) must be heat treated in accordance with ISPM 15 regulations to kill off pests, it’s clear that insect invasions from abroad remain a very real threat to the UK economy. “In May this year, the Ecological Society of America discovered the emerald ash borer in the wood packing material of goods imported into North America. This case surely strengthens the argument for enforcing stricter safety checks worldwide for verifying ISPM 15 compliancy and for extending ISPM 15 by making it compulsory to heat treat all wood pallets and crates moving within EU member states – something the European Commission is in the process of reviewing. “Poor pallet hygiene however is a much bigger topic than insect contamination alone. Mould and bacteria are other common signs that pallets are being kept in unsanitary conditions which, when using plastic varieties, can be easily combatted with regular cleaning as plastic pallets are 100 per cent water resistant. Timber pallets are much harder to preserve as even kiln dried varieties contain some moisture, making them susceptible to mould growth and blue stain fungus. “The timber industry is fully aware of the hygiene issues with wooden pallets and to their credit TIMCON – the Timber Packaging & Pallet Confederation – has launched a new Essential Guide Pack** for drying timber pallets to keep them mould-free. The global textile industry is among the most polluting and wasteful in the world, but there are some weird and wonderful material innovations out there. During a snail plague in her garden that involved old paper boxes, Dutch designer Lieske Schreuder discovered that if snails eat coloured paper it dyes their poo. From here, Schreuder bought hundreds of snails, built a laboratory and collected their bright-hued poo, using a machine she built to grind and mix it and turn it into flexible threads. It takes around five days for nine snails to produce the amount of poo necessary for one metre of thread. 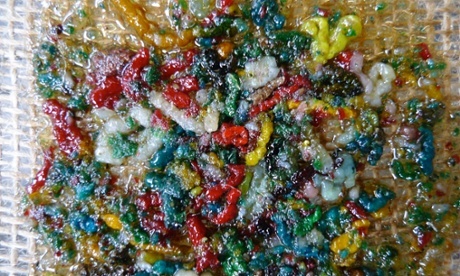 The use of snail poo in fashion is probably limited to haute couture and limited further by the fact the material is temporary and will eventually biodegrade. Schreuder assures anyone concerned that paper is of a similar cell structure cellulose to plants and trees and that no snails are harmed in the making of snail poo thread. 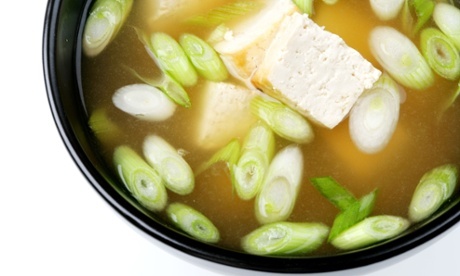 Soy fabric is made from the by-product of soy foods such as tofu and soybean oil. The soy protein is liquefied and extruded into long, continuous fibres that are cut and processed like cotton. While soy fabric production helps reduce waste, only 2-3% of the world’s soy supply is certified (pdf) and the crop has links with poor labour conditions and deforestation in the Amazon. Icelandic tannery, Atlantic Leather is taking perch, salmon, wolffish and cod skin, a by-product of the fisheries industry and turning it into leather for luxury fashion. Outdoor clothing company Patagonia partnered with clean technology company Yulux to create a wetsuit less dependent on the synthetic, petroleum-derived material, neoprene. The resulting co-developed wetsuit which will be part of Patagonia’s Autumn/Winter 2014 collection, is 40% neoprene and 60% plant-based biorubber derived from the desert plant, guayule. Patagonia is making the biorubber available to the rest of the surf industry in order to encourage volume up and force price down. In 2011 the Association of Independent Festivals found that one in six tents were left behind at festivals. 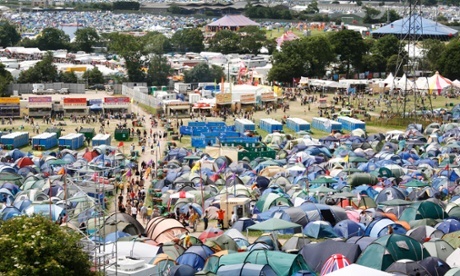 Some 12,000 tents were abandoned at the Isle of Wight festival in that year alone. Taking tents, tarpaulins and sleeping bags left behind at the the 2013 Secret Garden Party festival, design students at Nottingham Trent University turned festival waste into fashion. The 2014 State of Sustainability Initiatives Review which charted the development of identity cotton initiatives, has estimated that by 2020 organic and standard compliant cotton could account for a quarter of global production. Going even further, Swedish companies recently presented the world’s first garment made entirely from recycled cotton after Scientists at Stockholm’s Royal Institute of Technology developed a way of recreating the fibre. The use of nettles for fabric dates back to the Bronze Age in Denmark, where nettle fibres have been found in burial sites. 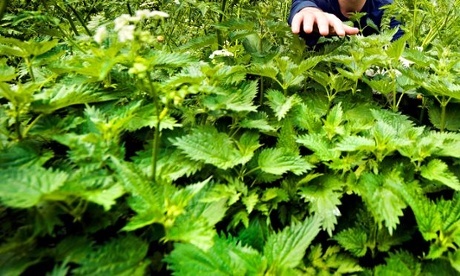 In a four-year project funded by the UK government department Defra (Department for Environment, Food and Rural Affairs), Camira Fabrics and De Montfort University sought to make the common stinging nettle fashionable once again. A perennial crop often considered a pest, nettles grow on land often unsuitable for other crops without the need for pesticides, herbicides or much water. The fibres in nettles are strong and elastic with in-built fire retardant properties and the linen-like material it can be spun into is naturally anti-bacterial and mould-resistant. Back in 2006, Dutch fashion label, Brennels started growing its own nettles in eastern Europe. 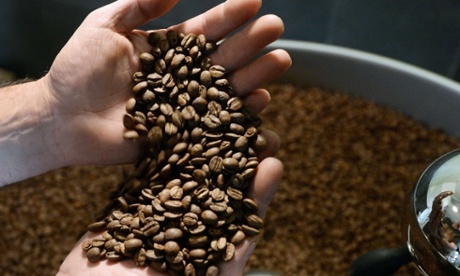 Coffee is one of the world’s most widely traded tropical agricultural commodity. Since the early 1980s coffee consumption has increased by around 1.2% every year, rising to 2% more recently. In Japan, the world’s third largest importer of coffee, the taste for coffee has been even stronger at around an annual increase of 3.5%. That’s lots of cups of coffee, and a lot of coffee waste. Taiwanese fabric manufacturer Singtex is adding coffee ground waste collected from coffee shops to cotton to create an odour eating, UV protective and fast drying fabric. Singtex claims the the textile is perfect for denim and outdoor wear like running and cycling gear. Carmaker Jaguar Land Rover has had a second advertisement in as many months banned for promoting speed and unsafe driving. The video – called The Art Of Villainy – on the company’s YouTube channel featured actor Tom Hiddleston playing a suave British villain who drives a Jaguar F-Type out of a car park and along a public road. A viewer contacted the Advertising Standards Authority (ASA) complaining that the ad was socially irresponsible because it encouraged unsafe driving. The company defended the ad, saying it was set almost entirely in an underground car park, with the car stationary for much of the time. Jaguar also said police were present during filming and the car was not speeding at any time after it left the car park and accelerated briefly on The Embankment in London. The ASA accepted that the ad focused on the car’s appearance and performance rather than speed. But it said acceleration and speed did feature when the car was shown driving up a ramp to exit the underground car park and when it was shown on a public road at night.